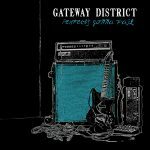 The second Gateway District album. I think this one has more emphasis on pop than the first one and is a little less raw. Some of our songs that are the most fun to play live are on this record.